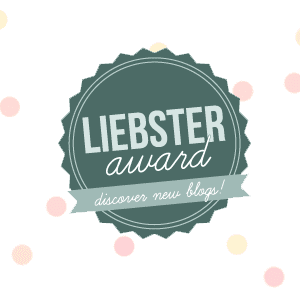 Storms Blog: Nominated for a Liebster Bloggers Award?! I’ve been nominated for a Liebster award! Massive thank you to Libby (http://or-do-we-all.blogspot.co.uk/) for nominating me… I wasn’t sure what this award entailed so I had to do a little bit of research. It’s a huge honour and big step for my little blog, so once again Thank you! If I need inspiration for something, for example a photo-shoot. I tend to search for images on Tumblr or Pinterest to adjust to my own style and liking. I always tend to have ideas for blog posts, normally think of them during school (woops). I am not a morning person, so most certainly the evening! 3) If you were a mythical creature, what would you be? I would have to be an elf, I love how they are always ‘one’ with nature and they always appear so peaceful! 4) What's your favourite word? For some reason the word ‘hooliganism’ has been my favourite, not really sure why. 5) What helps you concentrate? I can’t work in a loud environment like many people, it has to be quiet. 6) What 3 things are you determined to achieve (generally)? I would love to achieve a ‘summer body’ because my family and I are going on holiday to Greece in the holidays, I would love to reach 20,000 reads on my blog before March 1st and finally I would like to have a feature in a magazine one day, either my photography, blog or modelling. 7) What's your guilty pleasure? 8) Would you rather live without a roof or without a "proper" floor? I would rather live without a proper floor because I hate rain. 9) Why did you start your blog? 10) Have you ever eaten a whole cake? Im not a big ‘cake lover’ so nope. 11) How much trouble would you be in if you had no hands? Rules of the Liebster award! 1) Link and thank the person/s that have nominated you. 3) Nominate 11 blogs with less than 200 followers. 4) Create 11 questions for the nominees to answer. 6) Let the bloggers know that they've been nominated via social media. Nellie (http://nellielowephotography.blogspot.co.uk/) Most incredible photography I have ever seen! Holly - (http://hollykenyon.blogspot.co.uk/) One of the loveliest people ever! Best trick ever played on someone? Most stupid thing you ever done? Amount of sleep you get on average each night? Do you have any middle names, if so what are they? Do you have any pets, if so what are they? How do you come up for the content of your blog? Libby, Nellie and Holly all you have to do is answer the questions above ^^ and post them onto your blog and nominate a few blogs each!